What’s the Best Backpack for Peru (and South America)? What Size Backpack for Peru and/or South America? Backpack sizes (measured by volume in liters) range from tiny 5 liter daypacks to huge 85 liter travelpacks. Picking the right size backpack for Peru and South America depends on a few things, like how much you actually want to pack, how much you’re willing to carry, and your body size. Backpack size seems to come with some bragging rights in the backpacking world these days, in this case smaller being better. People laugh at the notion of having a 60 liter pack, saying that you’ll never need more than 45 liters. Ignore all of this banter and decide what’s best for you. Sure, 45 liters might be just right. But so might 60 liters. Or 65. Or maybe even 70. Anywhere in the 45 to 65 liter range is reasonable for a weeklong or even months-long trip around Peru and/or South America. 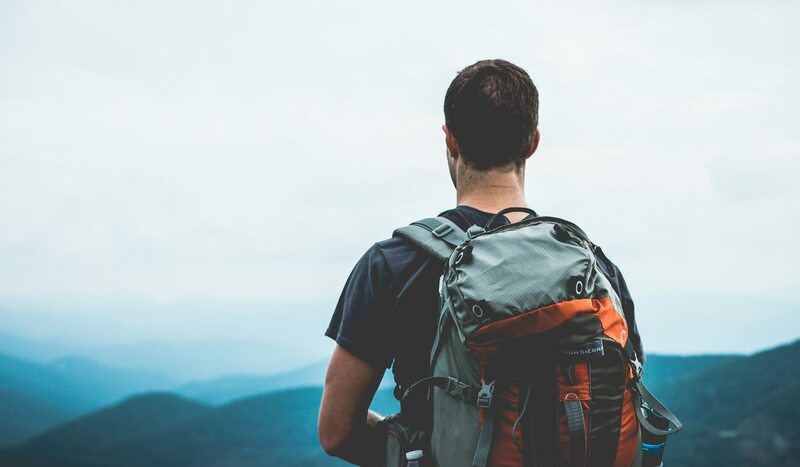 Generally speaking, women should try to go slightly smaller than men, simply because of frame-size differences between the genders (see more about fitting a backpack to your frame below). For example, 50 to 55 liters is a good range for many female backpackers, while men might be better suited to 60 or 65 liters. Of course, a lot depends on how much you want to pack, which only depends slightly on how long you’ll be traveling. Don’t let travel duration influence you too much, as the longer you travel the more you’ll appreciate a lighter, more compact backpack. Also, if you buy a really large backpack for Peru (over 65 liters), then you might be tempted to pack too much, which will only weigh you down unnecessarily. On the other hand, it’s good to have extra space in your backpack for souvenirs, gifts and random memorabilia that you pick up while traveling. If you decide to go with a smaller pack (around 45 liters), then it might be within the carry-on luggage baggage allowance policies of domestic airlines in Peru. This is handy, but not essential. Checked luggage is easy to collect on domestic flights in Peru, and not too time consuming, so it’s not a huge benefit to have carry-on only. So, to reiterate, consider anywhere between 45 and 65 liters as a good size backpack for Peru, but take your own body size into consideration. It’s important to be well balanced and to avoid developing back pain. The most important part of choosing the best backpack for Peru and South America is making sure it fits correctly. The fit depends on your body size and also your body shape. Some packs just feel right, while others are uncomfortable no matter how you adjust the straps. If you’re buying in a store, then you can try the backpack on. Ask if you can put a few things inside to increase the weight, allowing you to better judge how it feels. Do this with a few different packs to find one that feels comfortable. Also keep the total size in mind. If your pack is simply too big for your frame, then you’ll be constantly backpacking off balance, which is never fun. If your backpack is way too big, you’ll topple over every time there’s a light breeze. Ideally, your backpack should have padded shoulder straps, a padded belt and a cushioned section for your lower back. Everything should fit with the contours of your body. Though not nearly as common as standard backpacks, you can also find packs designed specifically for women. If you’re struggling to find a pack that fits your frame, it might be worth trying a backpack designed for the female frame. You can read more about sizing and fitting a backpack here. Having multiple compartments allows you to keep your backpack more organized. I recommend having at least two separate small compartments to compliment the main area of your pack. Backpacks also have a number of attachment points for things like sleeping bags, tents and other camping or trekking equipment. You might not need these, but make sure they’re there if you do. Another incredibly useful addition to your backpack is a rain cover. Most packs are water resistant to a certain extent. But a rain cover offers far more protection, and helps keep your pack clean. It’s far easier to wipe off unidentifiable gunk (strangely common in bus baggage holds) from a rain cover than from the pack itself. I always travel with a daypack in Peru so I can leave my main backpack in my hostel or hotel. When I’m traveling by bus or plane, I check my main backpack and keep my daypack with me. I keep all my most valuable items inside my daypack, including laptop, camera, passport, debit cards etc. Personally, I always prefer to have these things with me rather than in my checked baggage in the luggage storage of a plane or bus. Travel backpacks often come with a removable daypack attached. That’s great. But these daypacks aren’t necessarily designed to be kept attached to the main pack when you’re on the move, as the weight distribution will be wrong. You can normally attach the daypack onto the front straps of your backpack. By carrying it on your chest, you’ll have a better overall weight distribution (for greater comfort and balance). Having your daypack in front of you like this is also good for security reasons, as it’s less likely to be a target of pickpockets. If your backpack doesn’t come with a daypack, it’s worth considering buying a small daypack to take with you to Peru (or buy one in Peru if you decide you need it). A good travel backpack can cost anywhere from US$60 to $300. Generally speaking, a pack within the $80 to $180 range should be just fine for backpacking in Peru (and you’ll often find lower prices buying online). It might be tempting to buy a cheaper (perhaps store made) backpack for under $80. And sure, it might turn out to be an excellent purchase. But there’s more likelihood of a higher quality backpack lasting you for years, whereas a cheaper backpack will often become frayed after just a year or so of usage. In which case, it’s actually cheaper in the long run to buy a better backpack for Peru and South America, which will hopefully last for many more trips in other parts of the world. NextDo You Need to Speak Spanish in Peru?